Music, Film and Games Giant HMV are set to close in the UK and Republic of Ireland following a financial crisis that has lasted over a year. This announcement makes HMV the latest in the ever-increasing line of High Street retailers to go into administration. The news of this casualty has sparked worry for many employees currently working at HMV as reports suggest over 4 thousand jobs will now be at risk. The stores in the UK and Ireland will remain open for the moment while the business seeks potential buyers. Trading in HMV shares are suspended on the London stock exchange and spokesmen at HMV have suggested they are no longer offering or accepting gift vouchers. The latest High Street tragedy clearly indicates how online retailers have been winning the current battle to gain consumers. The impact of consumers illegally downloading Music and Film online also caused suffering in generating profits over recent years. 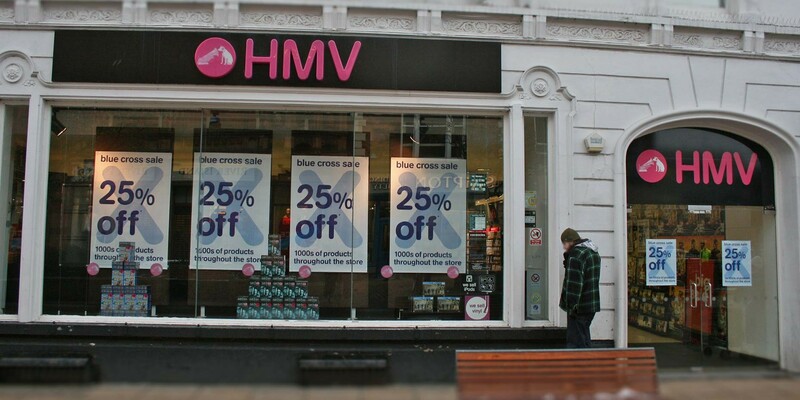 HMV recently announced a new blue cross sale with 25% discounts on almost everything in store following poor trading over the festive period. Special offers on CD’s, DVD’s and Films are now also available in store. The news of the stores closure will certainly cause upset to many music lovers across the UK, however other consumers have suggested, even with the Blue Cross Sale; other retailers online are still cheaper.